"The Detroit Fire: June 11, 1805" painting by Robert Thom (1965). Detroit's history is forged in fire. From the furnaces of its steel industry to a history of blazing civil unrest, Detroit is as familiar with fire as Atlanta, Chicago and San Francisco. From the senseless arson of Devil's Night to the vigilante urban renewal of more recent years, fire has been an agent for change and part of the city's destiny. 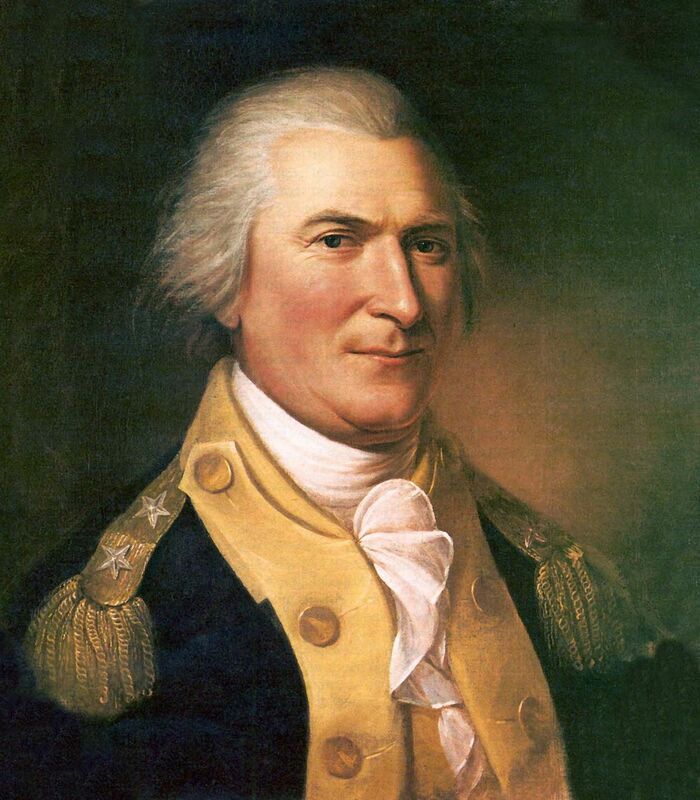 Territorial Governor Arthur St. Clair approved Detroit's city charter on February 1, 1802. 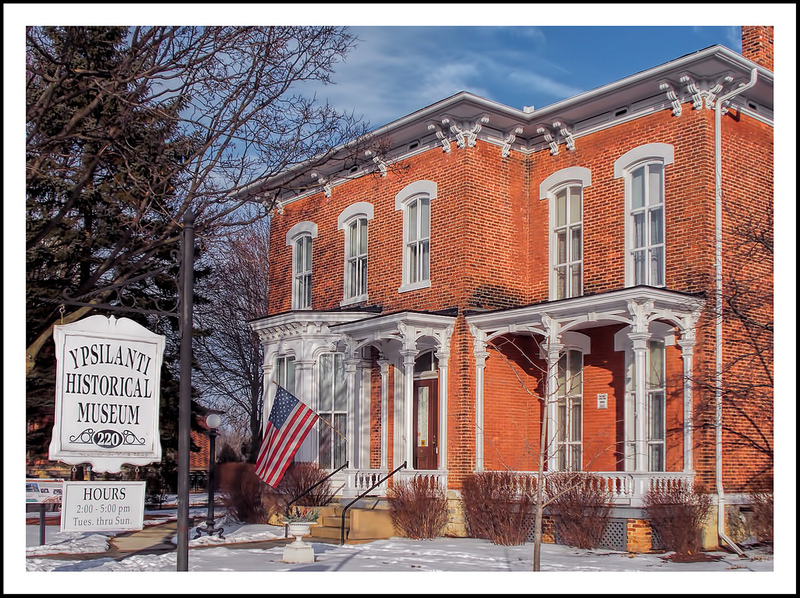 On the 23rd of the month, the Michigan Board of Trustees adopted a fire code requiring all residents and business owners to sweep their chimneys regularly, have a large barrel full of water, buckets at the ready, and a ladder that could reach rooftops. 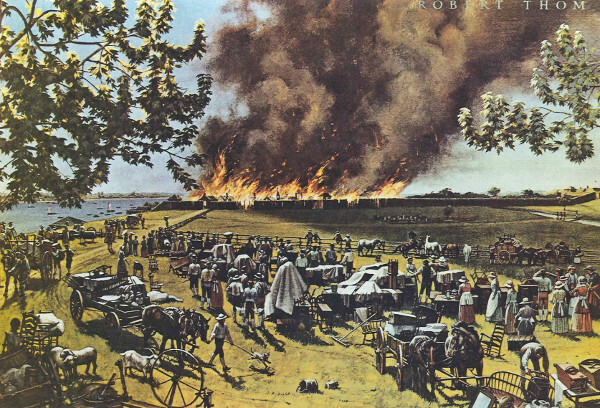 The code compelled all residents to turn out to form fire brigades when necessary, carrying water from the banks of the Detroit River to the three acre timber stockade where the wooden homes were crowded together separated by narrow lanes. At about 9:00 am on June 11, 1805, the only fire-fighting equipment the city had were wooden buckets. 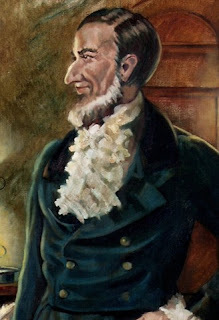 Although no official cause for what history notes as the Great Fire was ever determined, it was widely believed that baker John Harvey carelessly tapped out some hot tobacco ash from his pipe catching some straw on fire. The fire quickly consumed his barn and spread embers throughout the city. It soon became evident that the fire brigade efforts were useless. The fire spread too quickly. Residents saved what they could and fled from the stockade. By afternoon, every home and building was razed except for the stone fort along the waterfront and some brick chimneys. Fortunately, nobody was killed. 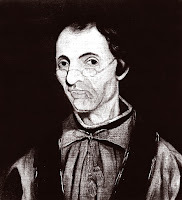 Jesuit Priest Gabriel Richard comforted his parishioners in Latin before the smoldering embers of St. Anne's church, "Speramus Meliora Resurget Cineribus." Those words became the official motto of the City of Detroit in 1827. The legacy of the Great Fire is still evident in 21st century Detroit in two ways. First, when Detroit was rebuilt, Judge Augustus Woodward took on the task of city planning by laying out a street plan that radiated spoke-like from the riverfront with broad avenues--Fort Street, Michigan Avenue, Grand River Boulevard, Woodward Avenue, Gratiot Avenue, and Jefferson Avenue reached inland to the outskirts of the city and beyond. The new municipal code called for larger lots for commercial development as well as a military parade ground named Campus Martius and a public park named Grand Circus Park anchoring what became Downtown Detroit. In the days of horse-drawn carriages and wagons, the street arrangement may have seemed elegant and sophisticated. After all, the street plan was based on the urban layouts of Washington D.C. and Paris, France. But in our modern fast-paced society of high speed automobiles, the eighteenth-century arrangement of diagonal streets is difficult to navigate by car and not particularly pedestrian friendly. 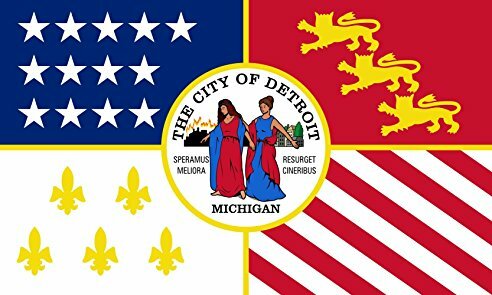 The second way Detroiters are reminded of the Great Fire is emblazoned on the city's official flag reflecting its early history. The flag's field is divided into quarters. One panel represents the city's French heritage with five golden fleurs-de-lis on a white background. One panel represents British rule with three golden lions on a red background. The other two panels represent the United States. One has thirteen stars on a blue background and the other has thirteen red and white stripes. The city's emblem and motto are centered on the flag. A woman weeps while another comforts her with the words of Father Richard, "We hope for better times. It will rise from the ashes." In our time, these words are prophetic. A CBS interview opportunity for Through the Decades with Bill Kurtis--about the John Norman Collins murders--brought me to Southern Michigan last week. Just as I thought interest was dying down after a year and a half on the market, Terror In Ypsilanti still has some legs. This interview segment is scheduled to air sometime in August. The national exposure is welcomed. While in Ypsilanti, I was pleased to discover that NPR/WEMU producer Patrick Campion won an "Excellence in Broadcasting Award" from the Michigan Broadcasters Association for his radio feature "Hidden in Plain Sight--John Norman Collins." Patrick interviewed me while we went to several of the key locations in Collins's killing spree. Patrick did a fine job. There is a link to the program at the end of this post. I went to the Ypsilanti Historical Society (YHS) to get the go ahead to publish the true crime story of one of Ypsilanti's most disturbing events--the Depression-era murder of seven-year-old Richard Streicher, Jr. found stabbed and frozen to death beneath the Frog Island Footbridge in Depot Town. The unfortunate boy's 1935 murder was investigated by Ypsilanti and State Police over a two-year period. Although townspeople and police were in general agreement who the guilty party was, investigators were not able to make a direct connection to bring charges. 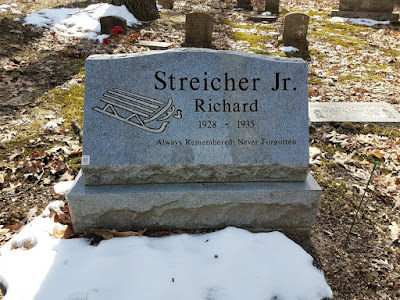 Richie Streicher, Jr.'s body was buried in an unmarked grave in Highland Cemetery over eighty years ago and his murder fell into obscurity. Beginning in 2007, YHS docents George Ridenour and Lyle McDermott began collecting any documentation they could find. Responding to their Freedom of Information Act request, Michigan State Police produced 1,100 documents related to this case, some more revealing than others. A number of relevant documents was clearly missing, but there was enough factual information to recreate the history and the atmosphere of the era. In 2011, George and Lyle interviewed Richie's last living classmates who remembered him. They were in their mid-eighties. These several interviews were the living history materials George and Lyle were able to collect. It was George's intention to write a book telling this piece of Ypsi's hidden history, but his failing health overtook him in 2016. George helped me with local research on serial killer John Norman Collins for my Terror In Ypsilanti true crime book which was most helpful. When Lyle McDermott asked if I would be interested in taking on George's project, I was honored to take on the challenge of making his vision a reality. It took me two years to puzzle the pieces of this tragedy together and to begin the publication process, but this summer, The Richard Streicher, Jr. Murder--Ypsilanti's Depot Town Mystery--should be available for purchase. In 2016, a fundraiser was held to purchase a headstone to mark Richie Streicher's gravesite. When I return to the Detroit area in mid-July for Bookfest 2018 at the Eastern Market, I hope to schedule a couple of Ypsi speaking engagements to discuss the project and promote the book locally. Initially, the paperback will be available from Amazon, the YHS Archives on N. Huron Street, and at my book talks. The ebook will be available in Kindle, Nook, iPad, Google, and KOBO formats. There is an oft-repeated story about how the Purple Gang got their name. When an Eastern Market butcher was assaulted and his shop vandalized, he reported to police that "These boys are not like other children, they're off-color. They're rotten purple like tainted meat. They're the Purple Gang." Whether the anecdote is accurate or not, the street thugs made their presence known to merchants and street peddlers from Paradise Valley to the Eastern Market--anybody they could squeeze a buck from was a target. The Bernstein brothers--Raymond, Abe, Joe and Isadore "Izzy"--were young teens who ran with the gang of street toughs in their Hastings Street neighborhood on Detroit's lower East Side. The gang started off as petty thieves and skakedown artists. 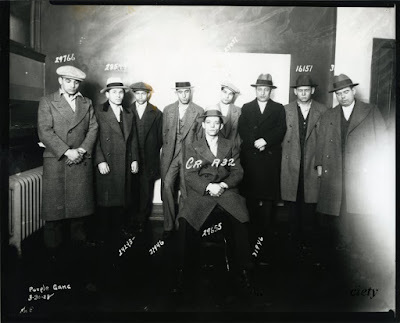 By 1919, they branched out to armed robbery, extortion, protection, hijacking, and murder under the tutelage of more experienced neighborhood gangsters from the Sugar House Gang. As their reputation for ruthless savagery grew, so did their power and grip over Detroit's underworld. In 1927, Frank Wright, a Chicago-based jewel thief, along with Joseph Bloom and George Cohen, New York based burglars, began to kidnap Detroit gamblers for ransom. Among the gamblers snatched were some Purple Gang members. The Purples plotted against the interlopers. One of Wright's men--Meyer "Fish" Bloomfield--was kidnapped by the Purples to lure Wright into the open. The ploy worked. A ransom was agreed upon and a hostage exchange for money was to take place at the Milaflores Apartment on 106 East Alexandrine Ave.
At 4:30 am on March 28th, 1927, Wright showed up with Bloom and Cohen and knocked on the door of room 308 as prearranged. Three men at the end of the hallway opened the stairwell door and fired at point-blank range with pistols and a Thompson Sub-Machine Gun. The first known use of the Tommy Gun in Detroit. The trigger men escaped down the back stairway. 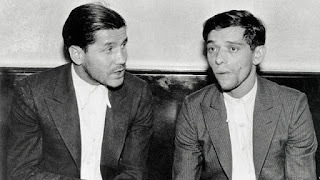 Evidence was found in the apartment connecting it with Purple Gang members Eddie Fletcher and the Axler brothers--Abe and Simon. The next day, Purples Abe Axler and Fred "Killer" Burke were pulled over on Woodward Avenue. Although they were suspects in the Milaflores slaughter, nobody was ever charged. It was commonly believed that Fred Burke wielded the Tommy Gun and Abe Axler and Ed Fletcher--known as the Siamese Twins--used hand guns. Charles Givens, a reporter for the Detroit Times wrote, "In nine out of ten unsolved cases, investigators are virtually certain who the murderer is. Proof is another thing. Ask detectives who handle these cases and you get the same answer: 'We knew who the murderer was, but there were no eyewitnesses or evidence'." The Milaflores Apartment murders did result in a Michigan ban on hardware stores and other retail outlets selling submachine guns and multi-round magazines to private citizens. Only police and the military could legally buy them. Abe Bernstein was essentially the gang's behind the scenes business manager. In 1925, Bernstein and corrupt American Federation of Labor president Francis X. Martell went into a business partnership to control prices in the cleaner and dyers industry. The Cleaners and Dyers Association was formed and the city's independently owned cleaners were forced to join or pay the consequences. Shops were dynamited or burned down. Laundry plants were destroyed, owners and employees were beat up, and some people were gunned down. 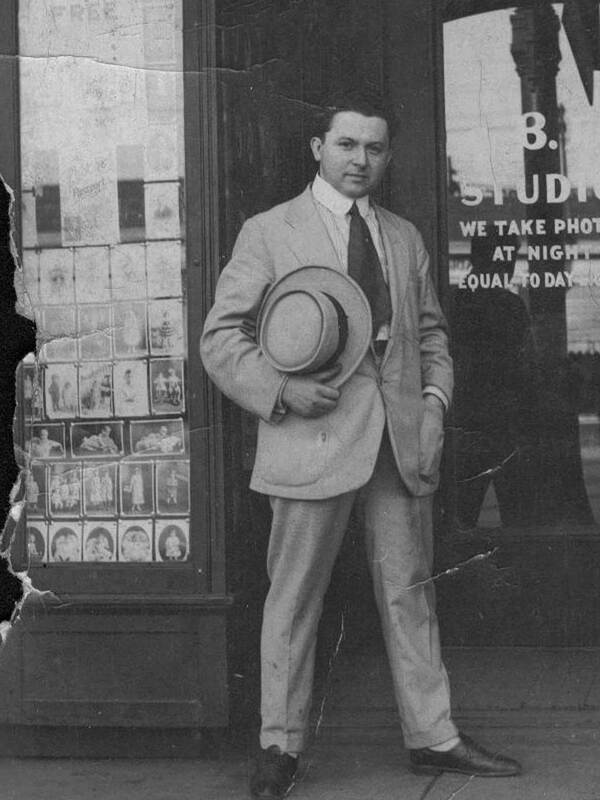 A brave businessman stood up and filed a complaint in 1928 with the Wayne County prosecutor. In all, nine Purple Gang members (Raymond Bernstein, Irving Milberg, Eddie Fletcher, Joe Miller, Irving Shapiro, Abe Kaminski, Abe Axler, and Simon Axler) were indicted for extortion. Several days later, Abe Bernstein surrendered and paid a $500 appearance bond. All the Purples were acquitted. The gang was at the height of its power with a feeling of invincibility. The huge amount of money the Purples skimmed from this labor racket allowed the gang to dominate the city's underworld until 1931. 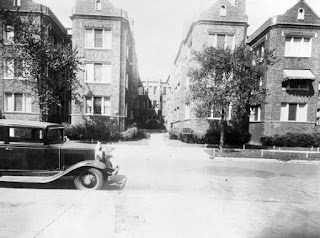 The Collingwood Manor Massacre on September 16th, 1931 marked the beginning of the end of the Purple Gang's stranglehold over Detroit's underworld. An inter-gang dispute erupted when three Purple Gang members violated the underworld code of poaching outside their operating territory. Herman "Hymie" Paul, Isodore "Izzy" Sutker, and Joseph Leibowitz were members of a Purple Gang faction called The Little Jewish Navy (LJN). They owned and operated boats transporting liquor across the Detroit River. The trio wanted to break away from the gang and establish their own organization and territory. A bookie go-between named Sol Levine brokered a meeting between gang factions and transported the LJN men to the apartment on Collingwood Avenue. The LJN, thinking they were going to cut a deal with the gang's leaders. Ray Bernstein ordered the hit and stayed outside in the car acting as the wheel man. After a brief discussion with Purple Gang members Harry Fleisher, Irving Milberg and Harry Keywell, Fleisher stood up and brutally shot the three unarmed men to death. Fleisher dropped his gun into an open can of green paint as he and his men ran down the stairs and out a back entrance to the alley where Bernstein was waiting in the get-away car. In the heat of the moment, Sol Levine was left behind in shock and was arrested when the police arrived. In fear of his life because he was the only eyewitness to the murder, he turned state's evidence placing himself under police protection. Milberg, Keywell, and Bernstein were arrested and convicted of first-degree murder and sent to Michigan's maximum security prison in Marquette. The trigger man Harry Fleisher left town and was never convicted of the crime. In those days, criminals had a much larger and less-documented world to move around in. It was still possible to simply vanish. Eddie Fletcher and Abe Axler--"The Siamese Twins"
The Sicilian Mafia--called the "Moustache Pete's" in Detroit--began to fight the Purples over territory they could no longer control. The bodies of Abe Axler and Eddie Fletcher were found shot to death on November 27, 1933 around 2:00 am in the back seat of a brand new Chrysler at the corner of Telegraph and Quarton roads in Bloomfield Hills. The bullet-ridden bodies of the so-called "Siamese Twins" were placed side-by-side, their hands intertwined as a sign of disrespect. In a big Midwest metropolis yesterday, another gang member met justice at the end of a gun. 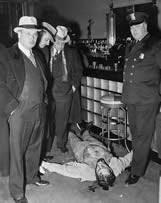 Prominent Detroit Purple Gang member Harry Millman was enjoying a drink in the bar of Boesky's Restaurant, on 12th Street (and Hazelwood), when four men entered brandishing guns and shot the hoodlum ten times. His body was still warm on the floor when the Detroit Police arrived. His killers were rumored to be members of Brooklyn's notorious Murder, Incorporated. Millman's death signaled the end of the Purples as a force in organized crime in the Motor City. Because of his repeated escapes from convictions for kidnapping, robbery, and extortion, Millman earned the nickname "Lucky." Yesterday, his luck ran out. This is Walter Winchell reporting. Millman was whacked for feuding with the Detroit Mafia and extorting money from their brothels and gambling operations. 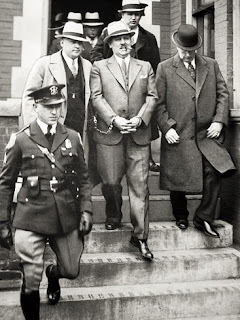 The predecessors of Detroit's modern day Mafia simply stepped in to fill the void once the Purple Gang was neutralized. 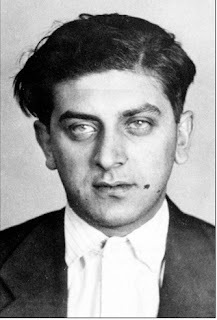 Abe Bernstein was spared because he had friends in high places--namely New York gangsters Meyer Lansky and Joe Adonis--with whom he co-owned several Miami gambling casinos. Abe Bernstein was allowed to live out his life bookmaking from his suite at the Book-Cadillac Hotel in Detroit until his death from a stroke in 1968. Detroit Police Chief of Detectives James E. McCarthy credited the Collingwood Massacre for "(breaking) the back of the once powerful Purple Gang, writing the end to more than five years of arrogance and terrorism."